Anji Ismail graduated from EMLYON in 2009 and co-founded Capseo, a search engine optimisation consultancy that uses crowdsourcing methods to help websites stand out on search engines, social media, forums and blogs. Anji is targeting revenue of €1.5 million in 2013. He talks about the growth of his company, which was launched out of the EMLYON Incubator. Capseo was founded nearly three years ago by EMLYON graduates Anji Ismail and Faouzi Elyagoubi. The pair met while on the MSc Information Systems Management programme at EMLYON. 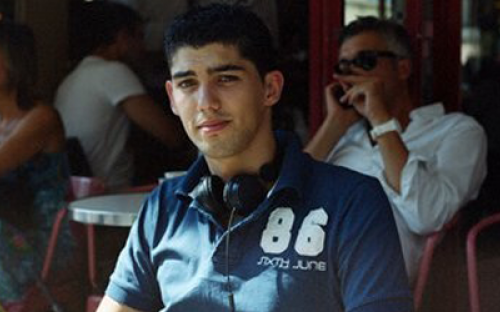 While Anji says he arrived relatively late to the tech world, Faouzi had been on the scene since he was 12 years old. He had already founded several internet companies including Ournia.com, a music website and CapNom, a French marketplace for buying and selling domain names and websites. Ournia.com currently has about 1.5. million unique hits daily and 95% of that comes from Faouzi’s Search Engine Optimization efforts, says Anji. Anji and Faouzi had to do an internship as part of their MSc programme but instead proposed that they worked on turning the idea of Capseo into reality. Their professor suggested that they apply to the incubator and that was how they got the ball rolling. They were initially accepted for six months and then their tenure was extended for another six months. Capseo’s goal is to help their clients stand out on search engines, social media, forums, blogs. Anji and Faouzi believe humans are more powerful in teams rather than alone and, through crowdsourcing, their algorithm selects the best experts in the field a client wants to promote. Anji explains that using crowdsourcing for web-marketing is superior to traditional methods used by advertising agencies who might have twenty or so employees knowledgeable in only very limited areas. With crowdsourcing, expertise can be utilized from all over the world. They’ve tested this concept with over 80 clients in France, the USA, Brazil and Australia. Anji recently met with Head of Marketing for Kaspersky, maker of computer and internet firewall and anti-virus protection, who admitted that it would be great to have experts in IT security doing community management for their products. Capseo can build teams with experts in all fields overcoming the challenges of clients like Kaspersky, Anji says. Anji decided to take the dual Masters degree between EMLYON and Ecole Centrale Lyon to combine the business, marketing and management learning at EMLYON with the technology know-how at Ecole Centrale. “EMLYON Business School is one of the best in France and in Europe so it’s great to say that we are in the incubator. In the first few months, we were helped with our business plan and our ideas and it also helped to get one year of office space for free”, says Anji. The company is now working to show how scaleable their business model is and are aspiring to post a revenue of €1.5 million by 2013. They’ve already invested in opening a subsidiary, Capseo Inc, in Silicon Valley and have spent six months in the same incubator that nurtured Google and Paypal. Asked how European incubators can improve their services, Anji said they should embrace the American model of taking a share of the company’s equity as an incentive for them to do even more to help the growing firms. For now, Capseo is still in EMLYON’s network of Incubators and will be looking for a new round of funding at the end of next year. Anji says they have angels following them in the US and their dream is to start more subsidiaries and grow their client list. Its very inspiring to read about young people getting out there and doing something inspiring. I also want to work in a start-up environment. Do you have any advice for me? We have launched a new product, designed for the US market : http://www.doz.com. We are now delivering online marketing in 30 countries, covering 15 languages, thanks to over 3.500 experts in Search, Social Media and Content Marketing. Good to hear that you are doing so well. Bravo!